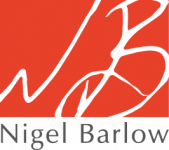 Nigel Barlow is an internationally renowned inspirational business speaker, facilitator, coach and consultant. The core of his work is Innovative Thinking applied to the biggest challenges facing you, your team and your company. Nigel is the author of several books on creativity and the originator of Garage ThinkingTM. He has been described by clients as an agent provocateur and business rocker; he’s skilled at shaking up fixed mindsets to open new possibilities for his clients around the globe.